A PC backside blanking plate with 2 x USB 3.0 connectors for the USB 3.0 bus from the motherboard. This gives you the ability to extend the number of external USB 3.0 ports on your computer. The connection to the motherboard is implemented with a 1 x 20pin connector, the length of the connecting cable is 60cm. 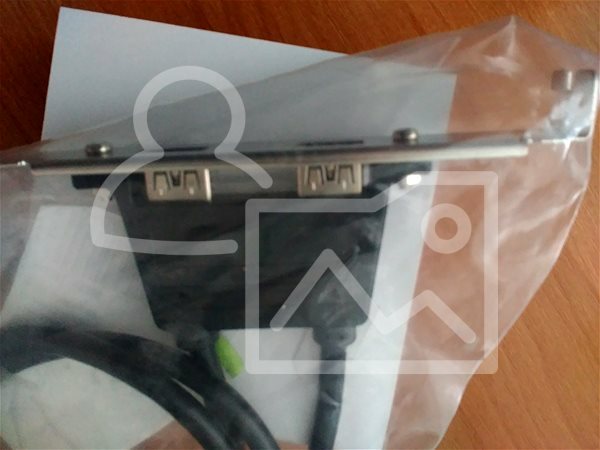 For shipping to other EU countries visit this page OEM USB 3.0 Bracket with 2 motherboard connectors. Für Versand nach Deutschland, besuchen Sie bitte OEM USB 3.0 Konsole mit Hauptplatinem Steckplatz. Chcete doručit zboží do Česka? Prohlédněte si OEM USB 3.0 Bracket se 2 konektory ze základní desky. Chcete doručiť tovar na Slovensko? Prezrite si OEM USB 3.0 Bracket s 2 konektormi zo základnej dosky. Für Versand nach Österreich, besuchen Sie bitte OEM USB 3.0 Konsole mit Hauptplatinem Steckplatz. 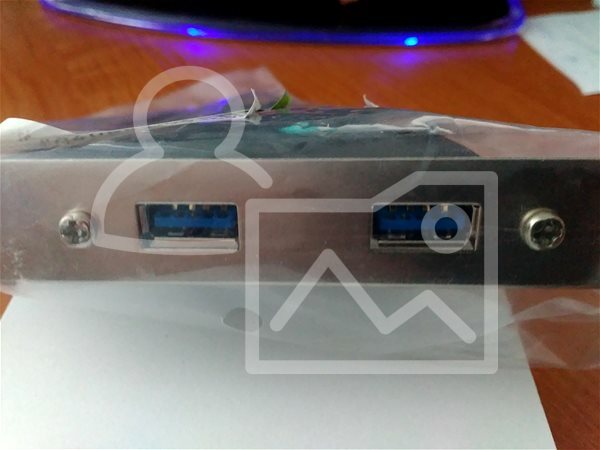 Magyarországra történő kiszállításért tekintse meg ezt a termékoldalt: OEM 2x USB 3.0 Konzol, alaplapi csatlakozóval.